Temple of Garni, Gilan Village, Waterfall of Goddess Astghik, St. Stephanos Monastery is a 8.7 kilometer moderately trafficked loop trail located near Gilanlar, Ararat, Armenia that features a waterfall. The trail is rated as moderate and is primarily used for hiking, walking, and nature trips. 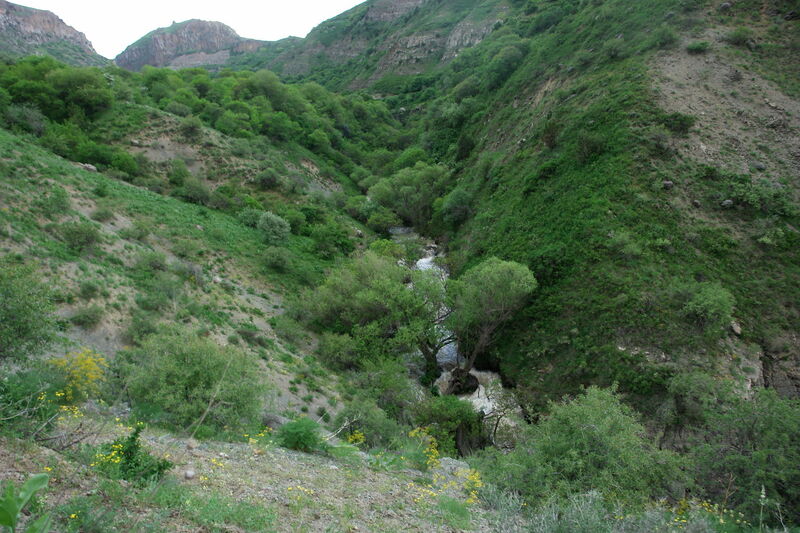 Overview The hike is located on the shared border between the provinces of Kotayk and Ararat. 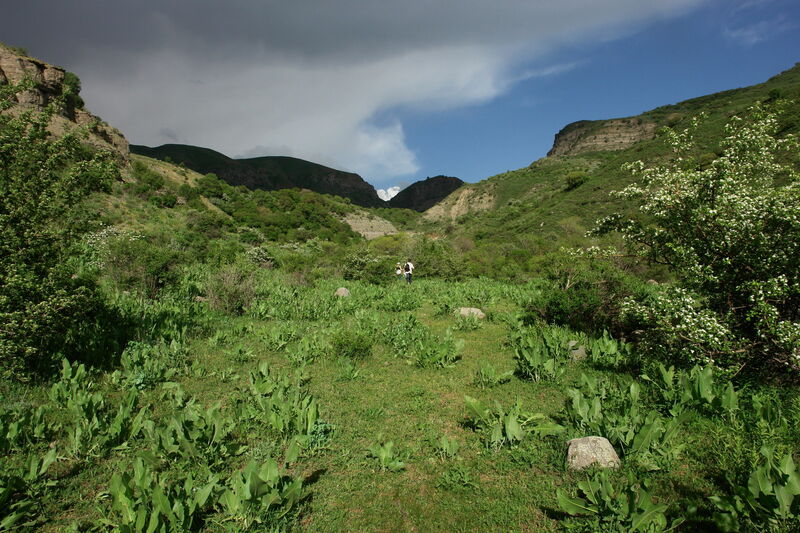 After visiting the Garni temple in the village of Garni and exploring its magnificent facade, the trail will then lead you to Gilan village (8 km from Garni) in the “Khosrov Reserve”. The hike starts from Gilan village and leads to the waterfall of the Goddess Astghik. 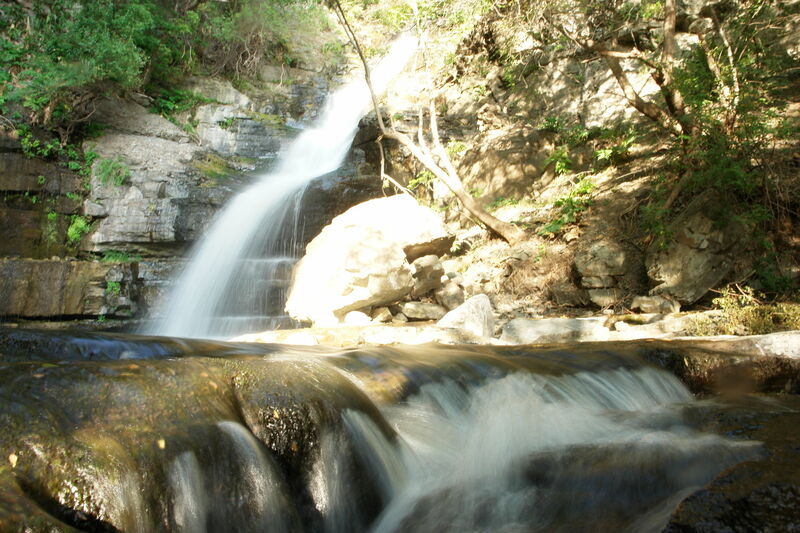 The water of the waterfall is potable and flows into a round, natural pool which you can swim in. The next destination on the hike is the St. Stephanos (Surb Stepanos) Monastery, a place of pilgrimage for many Armenians, located on the slopes of a high gorge. Waterfall of the Goddess Astghik The waterfall is located 2km from Gilan village and is surrounded by rocks; the water is potable and flows into a small natural pool, which you can swim in. 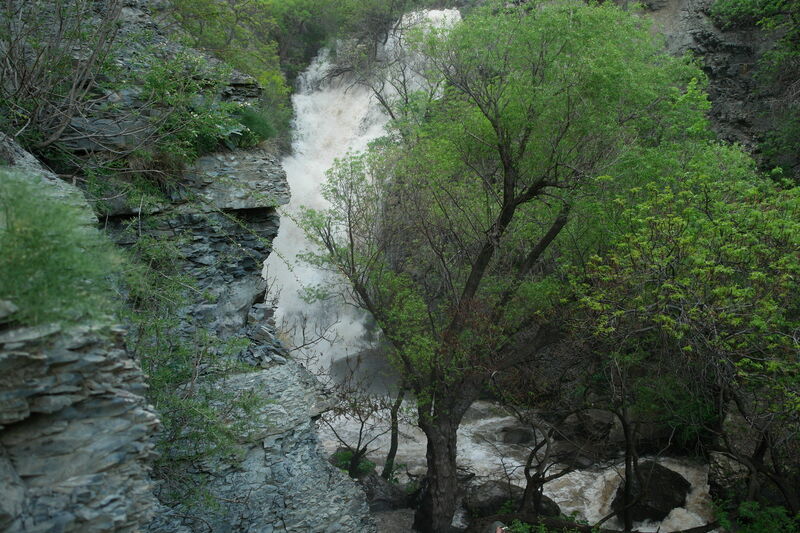 The surroundings of the waterfall are mostly mossy, because the sun almost never reaches there. 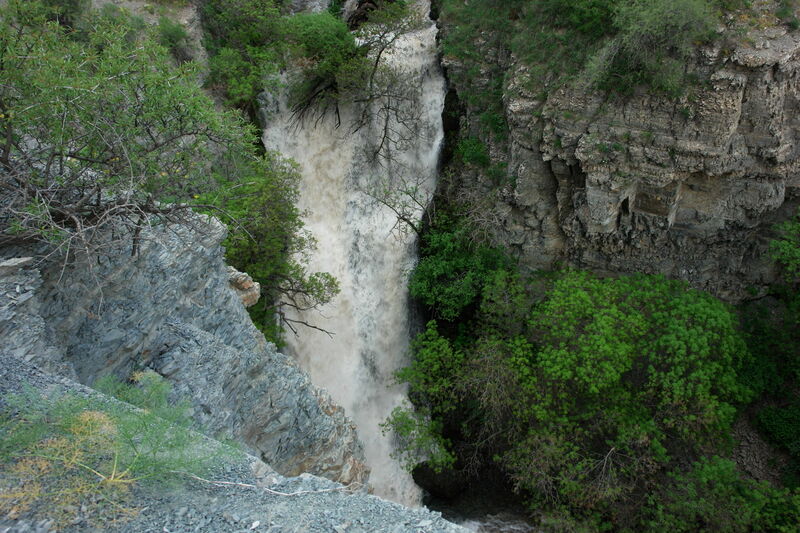 The waterfall has a height of 6-7 meters. In the spring months, the water flow is so strong that swimming there becomes dangerous, nevertheless, its appearance remains as attractive as ever. Swimming season starts in June. 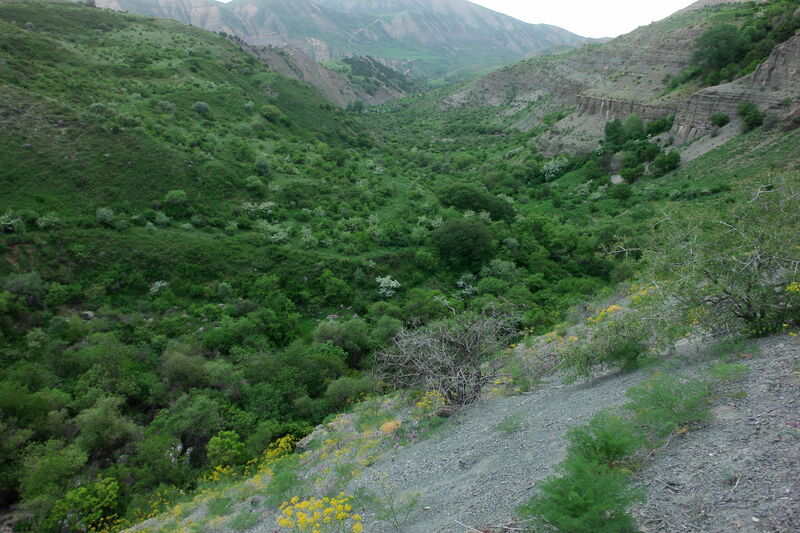 Route Characteristics Best Time: April to November Distance from Yerevan to Garni Village: 26 km (37 minutes) Cost to get from Yerevan to Garni Village (by taxi): 2,500-2,700AMD Cost to get from Yerevan to Garni Village (by bus): 250AMD Distance from Garni Village to Gilan Village: 8 km Distance of Hike: 8.7 km Duration of Hike: 4 hours Visible Trail Surface: 99% Safety and Connectivity Mobile telephone coverage within the areas of Gilan village, St. Stephanos and the waterfall of the Goddess Astghik is available only in one place in the Gilan village. The 911 emergency services operate throughout Armenia in case of any accidents. Be careful, the slippery mossy stones of the waterfall as well as the fallen rocks of the tall wall on the left of the waterfall. Be aware of snakes and be sure to bring bottled water!